We are looking for talented candidates for the position of Senior Accountant / Supervisor. 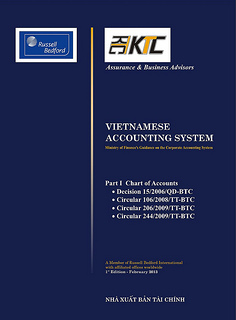 * Providing accounting services for clients of Russell Bedford KTC, mostly FDI companies. * Involving in service engagements with accounting/ auditing assistants. * Priorities for people who are learning or qualified ACCA, ICAEW or CPA Australia. * The email title should include "Name of Applicant" and code "HAN1512ACCS". This will ensure your submits are handled quickly. * Curriculum vitae (original, certified by local authorities if you are recruited). * Copy of ID card. * Copy of relevant qualifications (bachelor degree, language, accounting). * Contact information: email, mobile. * Phone interview in advance might be available.